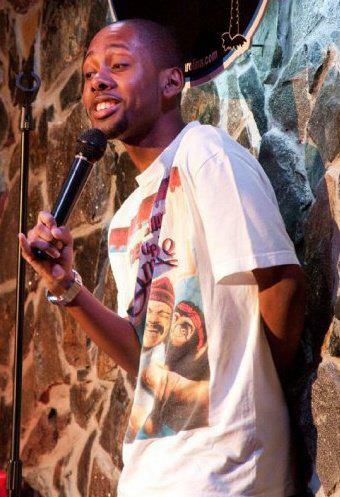 Seeing this calm, poised young comedian on stage it’s easy to forget that Jordan Rock is just 22yrs old. That’s because he speaks with a wisdom and candor well beyond his age. Of Course being mentored by big brothers Chris and Tony Rock doesn’t hurt either. With that kind of rep to live up to – it’s hard not to deliver, and deliver is exactly what Jordan does night after night. Bright, versatile and instantly likeable, this young man has already established himself as a legitimate act and earned the respect of his peers. Being born in the same Brooklyn NY home that already spawned comedic greatness but raised in the semi-rural setting of Georgetown S.C. Rock’s diverse Roots make it easy for him to relate his message to any crowd. Ever the perfectionist, Jordan is constantly improving and perfecting his craft. If you thought he was good tonight – wait till you see tomorrow night! They say that success is when opportunity meets preparedness – well for the youngest Rock a star is rising and he is prepared to ride it to the top.